From unassuming beginnings in 2013, the proposal for a directive on trade secrets attracted a great deal of attention only once it reached the home straight. Since the directive’s adoption last Thursday (14 April), this attention has grown into a media storm. The different views touted by the media, many of which are incomplete or simply incorrect, often criticise the directive for undermining the freedom of information and the press, and not adequately protecting whistleblowers. In a video posted on Facebook, which has been watched more than 11 million times in just a few days, Nicole Ferroni, a comedian and commentator for France Inter, accused MEPs of helping multinationals to hide information from the public. 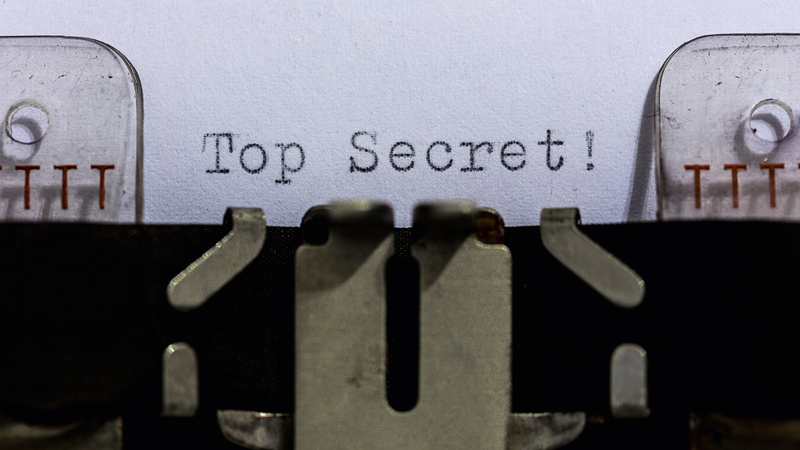 So what is the truth about the Trade Secrets Directive? In 2013, the Commission proposed a bill to harmonise the definition and protection of trade secrets across all EU member states. Know-how or confidential business information (trade secrets) are important for the competitiveness of European businesses. These intangible assets are fundamental to their innovation and research efforts. Their adequate and harmonised protection across Europe therefore represents an invaluable factor for growth and jobs. From strategic commercial information to manufacturing secrets, trade secrets protection allows businesses to defend themselves against information theft and industrial espionage. According to the Commission, one in four European companies fell victim to at least one case of information theft in 2013, compared to 18% in 2012. While it was multinationals that originally asked the European Commission to legislate on the issue, the executive maintains that the directive will be most beneficial for SMEs, which are often less well placed to deal with the complexities of European regulation. 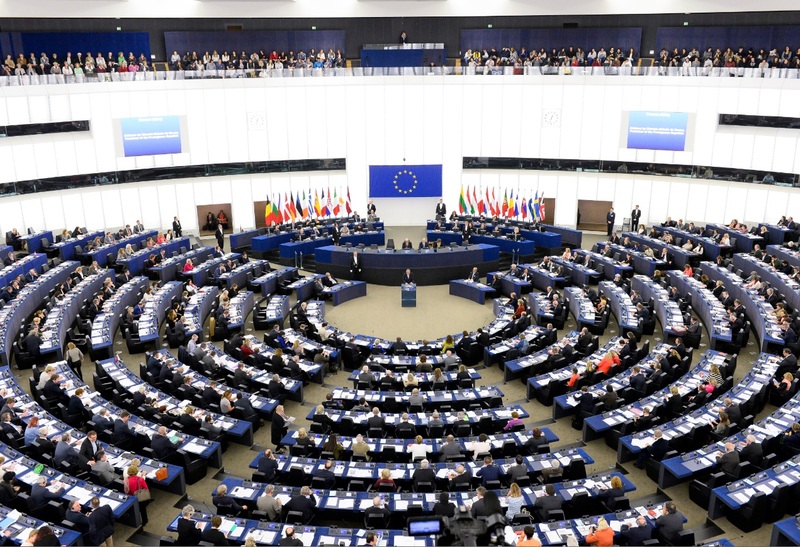 Members of the European Parliament’s Legal Affairs Committee have adopted measures to ensure that the Trade Secrets bill does not weaken the right to freedom of information. EURACTIV France reports. 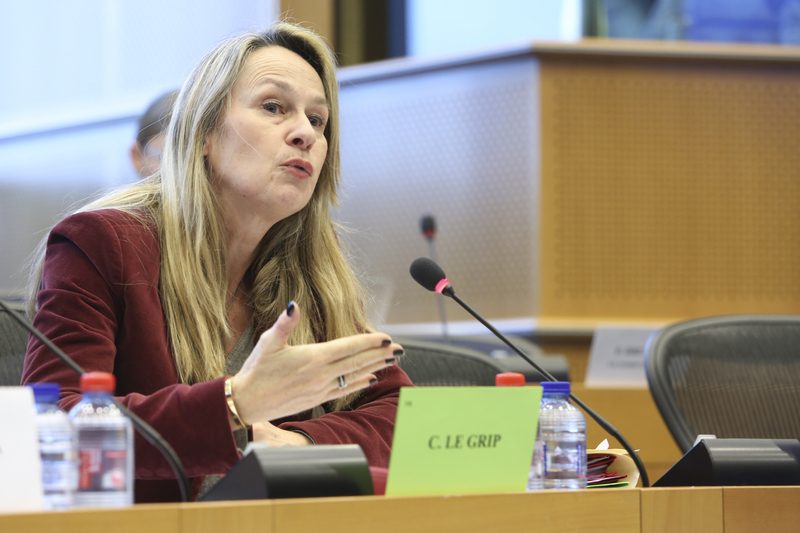 “We must not forget that the primary objective of the directive was to strengthen the protection of trade secrets, particularly for SMEs,” said Virginie Rozière, a French Radical Left MEP (S&D group). The directive should also allow companies to defend themselves equally in any European court, should they fall victim to data theft. Will the bill protect journalists and the freedom of information? The first draft of the directive, proposed in November 2013, revealed severe shortcomings in the freedom of information safeguards. In their original proposal, lawmakers did not foresee the use of trade secrets legislation against individuals “making legitimate use of the right to freedom of expression and information”. But this safeguard was judged insufficient by many MEPs, journalists’ associations and NGOs. “This wording would place the burden of proof on the media source or the journalist, not on the company itself,” Rozière said. The obligation for the media to demonstrate “legitimate” use of any information they acquire may discourage them from undertaking investigations at all, as the financial risks in case of prosecution would simply be high. French MPs have called on the European institutions to rework the Trade Secrets bill, which they say hampers the freedom of information and puts journalists’ sources at risk. EURACTIV France reports. Many justified criticisms were raised during the interinstitutional negotiation process, where the exception for journalists was strongly ring-fenced. As a result, the final directive specifies that exceptions can be made for “the exercise of the right to freedom of expression and information as set out in the Charter (of Fundamental Rights), including respect for the freedom and pluralism of the media”. So any journalist that exposes confidential information in a legitimate, professional capacity will be exempt from prosecution under the directive. Member states now have two years to transpose the Trade Secrets Directive into national law. But critics fear that the decentralised nature of the directive’s implementation will lead to the freedom of expression being better protected in some countries than others. “The guarantees made on press freedom will largely depend on how governments apply the directive,” Reporters Without Borders stated. 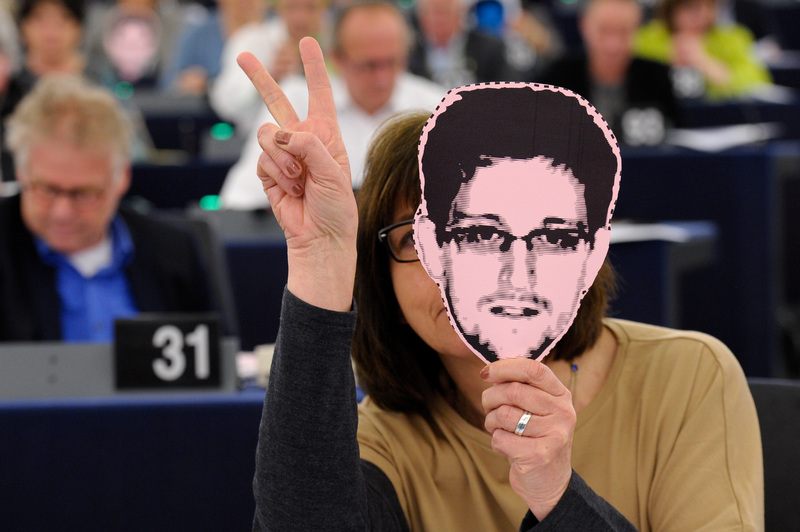 Will this law protect whistleblowers? The protection of whistleblowers became a central theme of the debate following the revelations of the Panama Papers, but it is less comprehensive than the protection offered to journalists. Unlike media professionals, whistleblowers will not be automatically protected from prosecution if they reveal trade secrets. The version of the directive adopted by MEPs on 14 April contains an exemption “for the purpose of revealing […] misconduct, wrongdoing or illegal activity […] in the public interest”. Any potential whistleblower must demonstrate to a judge that their actions fulfilled these criteria before protection can be granted. “With whistleblowers, a judge has to decide because their legal status is less firmly defined than that of a journalist,” Rozière said. The Trade Secrets Directive is out of the starting blocks, but the creation of a protected ‘whistleblower’ status may take some time. EURACTIV France reports. In all, the directive provides only very partial protection for whistleblowers: it cannot stop companies prosecuting individuals that reveal confidential information, but it can provide an angle for legal defence. “But this was not its intended role,” the MEP said. “The directive cannot answer all the questions on whistleblowers, we need a separate law to define their status on a European level,” she added. Only five member states currently have specific legislation to protect whistleblowers, while seven have no protection at all. The Commission has so far been hesitant to deal with this disparity with specific legislation, even if many lawmakers see this as a logical next step. Will the directive allow companies to hide information from the public? Another accusation levelled at the directive is that it will allow multinationals to hide behind trade secrets to avoid revealing unfavourable information to the public. Opponents of the directive hold up the EU’s plans to reauthorise the herbicide glyphosate, approved at the same plenary session in Strasbourg, as an example of how trade secrets can be invoked to withhold information from the public. The European Food Security Authority (EFSA) carried out a study on the safety of glyphosate, which it used as the basis for renewing the chemical’s authorisation. But glyphosate has been classified as a probable carcinogen by the World Health Organisation. 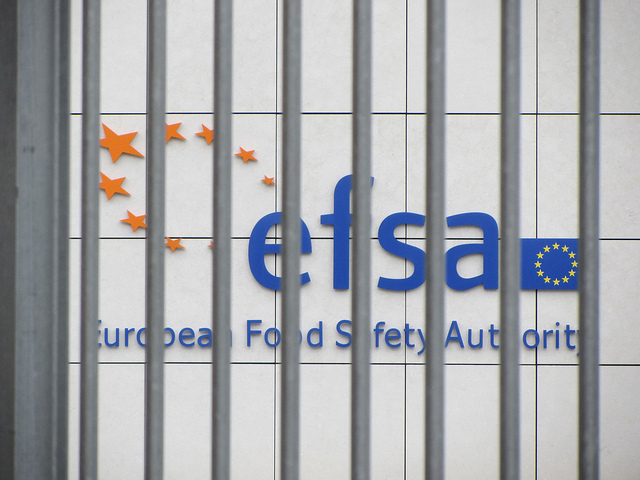 And the EFSA study relied on information collected by several giants of the agrochemicals industry, including Montsanto, which has refused to publish its information, citing trade secrets concerns. “The protection of trade secrets is what is currently allowing Monsanto, a huge multinational, to refuse to publish its report on glyphosate, you know, the carcinogenic chemical. Your law would even allow Montsanto to attack us if we revealed the information that proves that it really is carcinogenic,” Ferroni said in her video, echoing the arguments of a number of Green MEPs. In fact, trade secrets protections do not entitle the company to withhold the details of its study. “The public authorities can take measures to demand information from businesses on public health grounds, which can then be communicated to the competent administrations,” Rozière said. The text states that trade secrets cannot be used to “negatively affect fundamental rights” like food security and consumer protection. “What it comes down to is that the EFSA is afraid of Monsanto’s lawyers,” a European Parliament source told EURACTIV France. 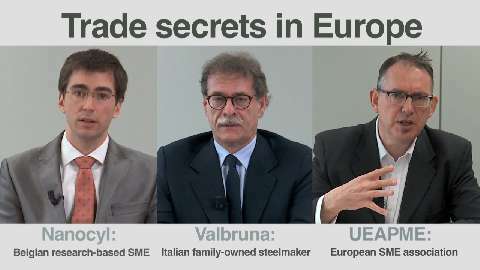 In November 2013, the European Commission proposed a directive giving a common definition of what constitutes a business secret. This directive also provides the framework for victims of business secret theft to claim reparations. The theft of business secrets is an increasingly widespread problem in the EU. In 2013, one in four European companies was the victim of at least one case of information theft (compared to 18% in 2012). SMEs and start-ups tend to depend more heavily on confidentiality than large businesses, as do companies that deal in knowledge capital (expertise, R&D and creative products). Differences in national legislation and the absence of a European definition of business secrets means levels of protection vary considerably from one EU member state to another.